Cuddlies from Down Under | Hello Cool World! Eva here. 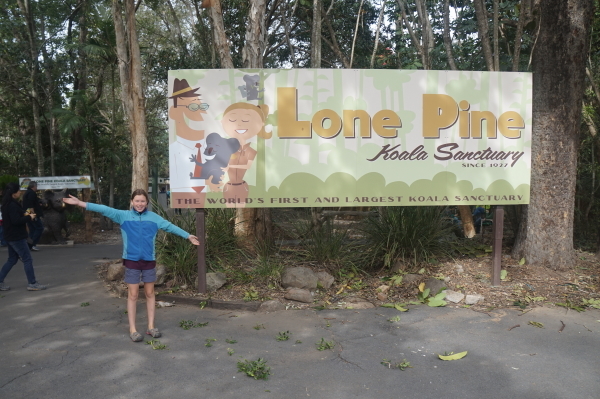 The other day we were driving to our Servas host’s house in Brisbane when we saw the sign for the Lone Pine Koala Sanctuary. We decided that we had to go, so the next day we loaded ourselves into the car and drove off in search of the sanctuary. 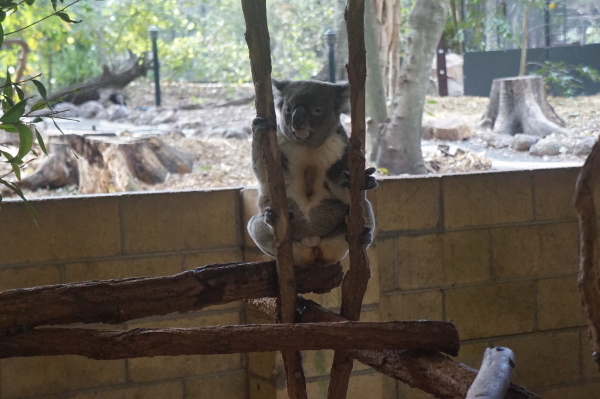 When we arrived we went to see the show on koalas and learned that the sanctuary was started in 1927 (the first of its kind) because, at that time, koalas were hunted for their fur and their numbers were declining a lot. The first 2 koalas at the sanctuary were named Jack and Jill, but the sanctuary now has over 100 koalas and is the world’s largest. 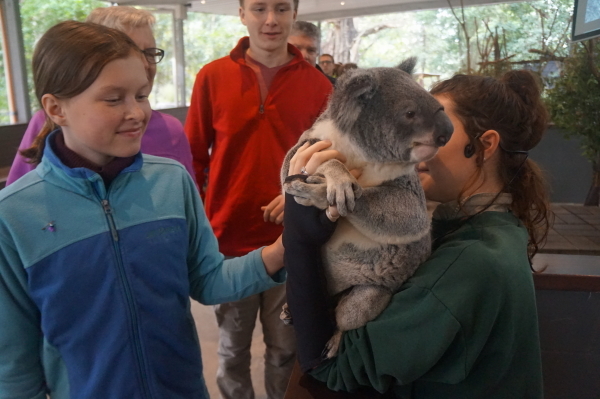 At the show, we learned that koalas are very picky eaters and eat the leaves of only 50, out of 800, eucalyptus (or gum) tree species. 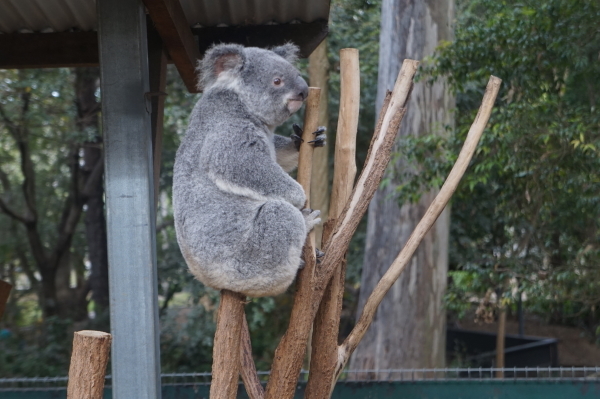 Though they look drunk because they sleep all the time, it’s just because eucalyptus leaves are very fibrous and low in nutrition, so they don’t give koalas much energy. The leaves also, however, contain a lot of water so koalas don’t have to drink water very often. In some of the pictures you will see some koalas with a clean chest, These are the females. The others have dirty scent glands on their fronts, meaning that they are males. 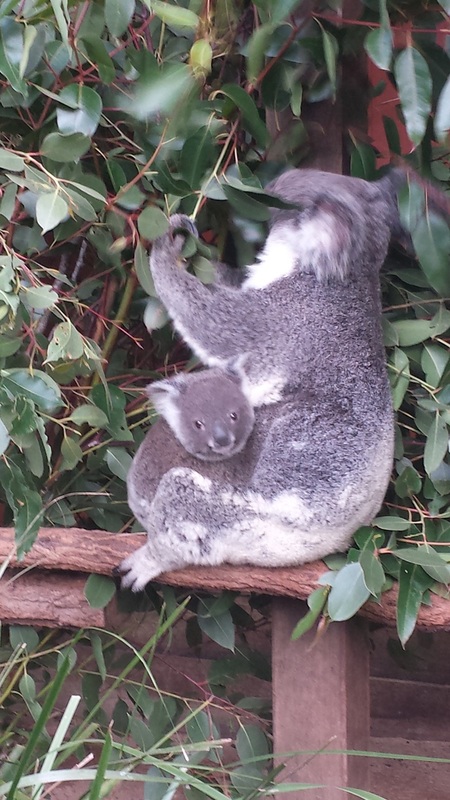 We also saw some baby koalas with their moms; so cute! 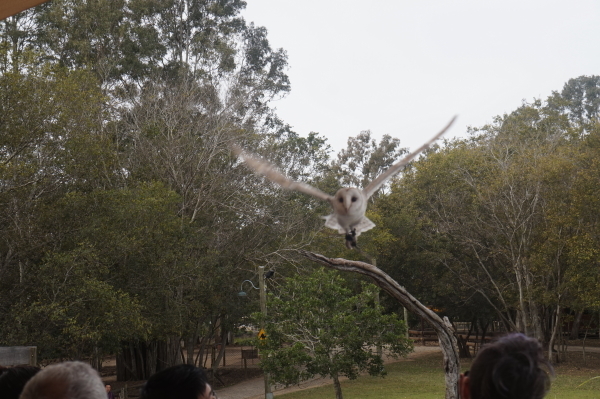 But koalas aren’t the only animals at the sanctuary so we moved on to the birds of prey show. 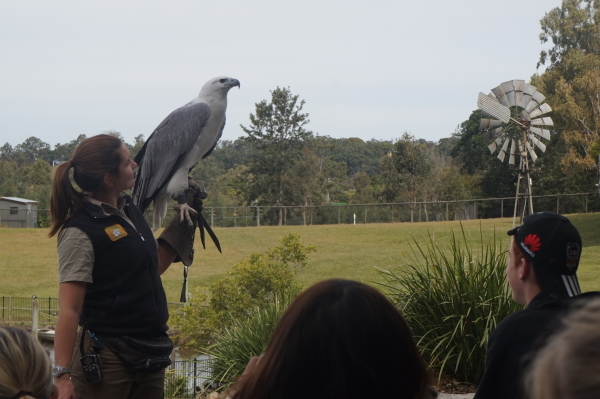 They showed us some birds, including the white-bellied sea eagle that is the second largest bird in Australia. They skim the water with their talons to catch anything on the surface of the water. If they are very hungry they can easily steal other birds prey because of their size. 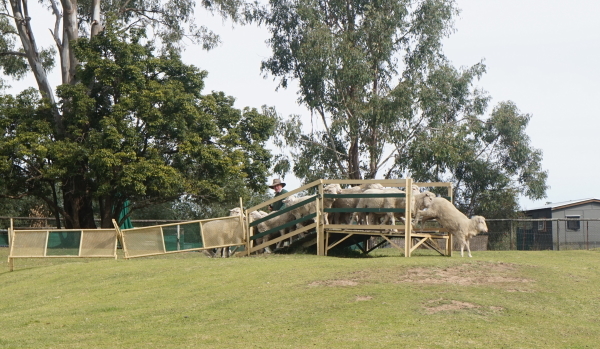 Once that was over we moved on to the sheep dog and shearing show. 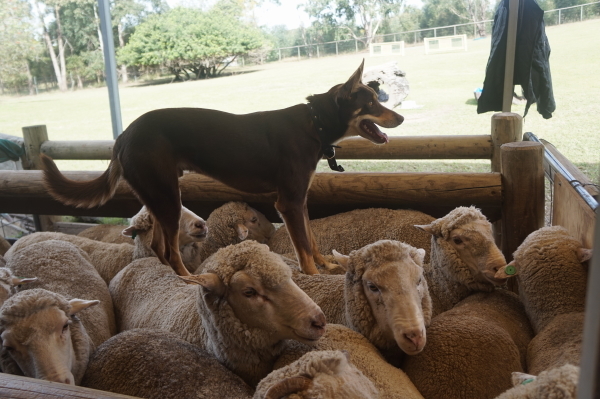 The two types of dogs that the farmer had were the Border Collie and the Australian Kelpie. 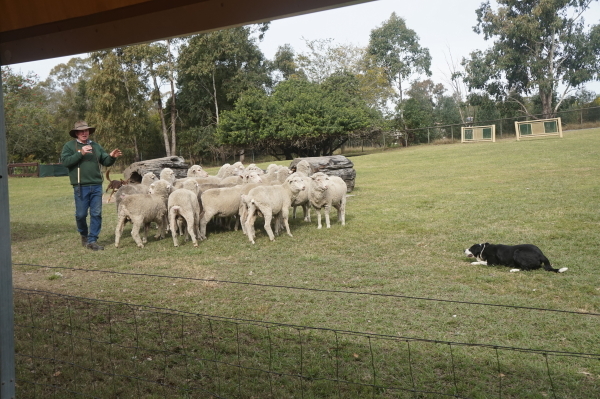 Just a few minutes after we arrived, one of the dogs was zooming around bringing the sheep in. 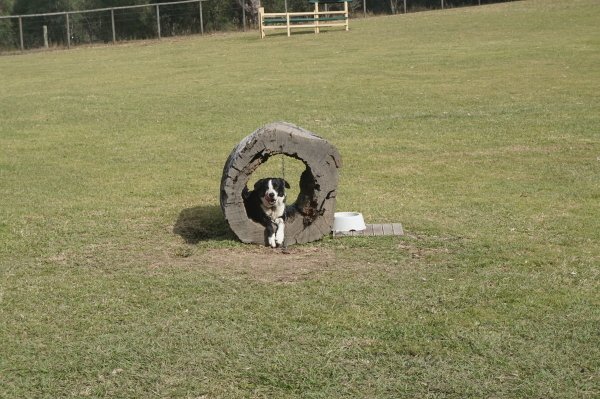 Then the dog had the sheep run through a course. Then, the other dog herded the sheep into the pen, climbed onto their backs and barked. 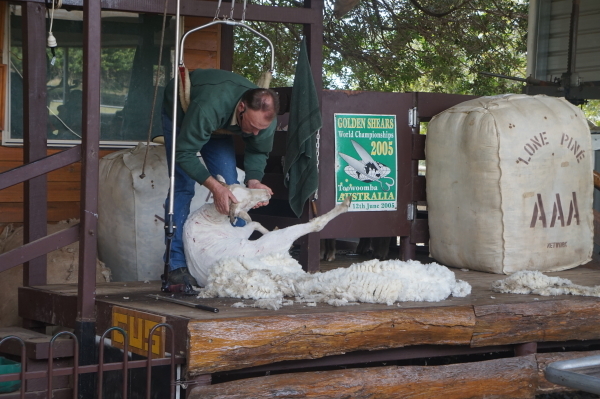 Then we moved on to a shearing show and watched another farmer demonstrate how to shear a sheep. 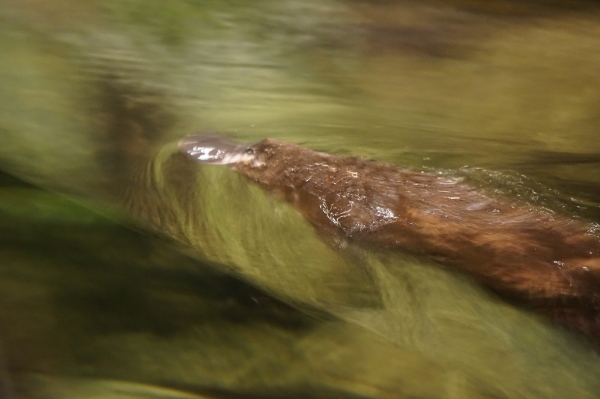 After that we walked around and saw some animals, like platypuses and Tasmanian Devils, being fed. 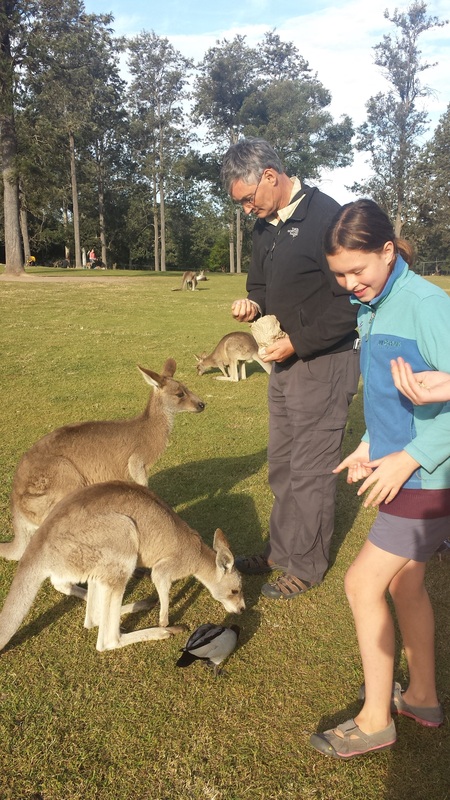 Then we went to the kangaroos and, seeing we could feed them, went to buy some kangaroo food. We went through the gate and into a big yard. First all we could see were emus, other birds and wombats. But then we went up the hill a bit and saw many, many kangaroos. Some had little joeys hanging out of their pouches, getting their heads whacked against the ground when their mothers jumped. 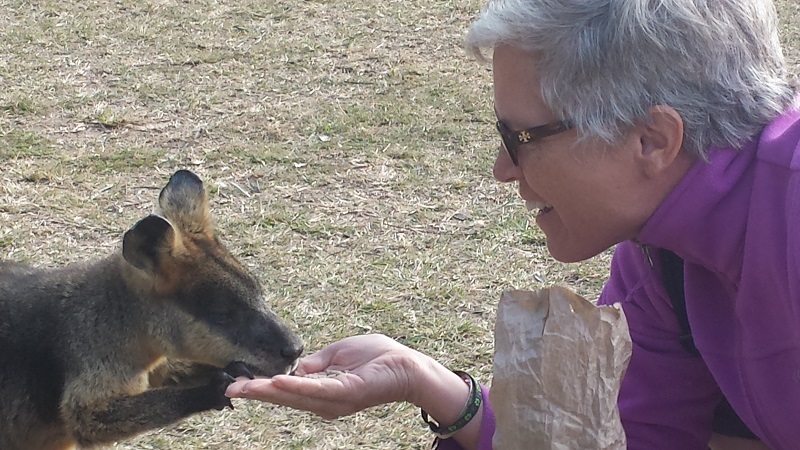 My mom carefully approached a kangaroo, pulled out some food from the bag and held out her hand. 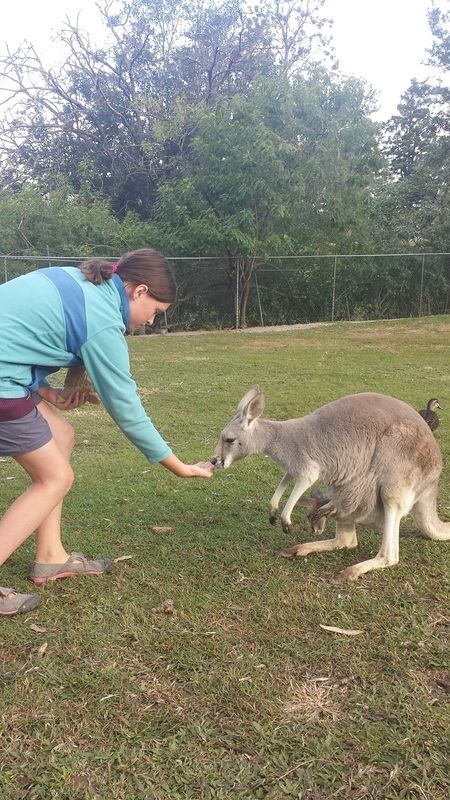 The kangaroo came closer and started nibbling the food, so mom started to pet it. Seeing that it didn’t care, I came closer and started to pet it as well. Then I too reached into the bag, pulled out some food and held out my hand. 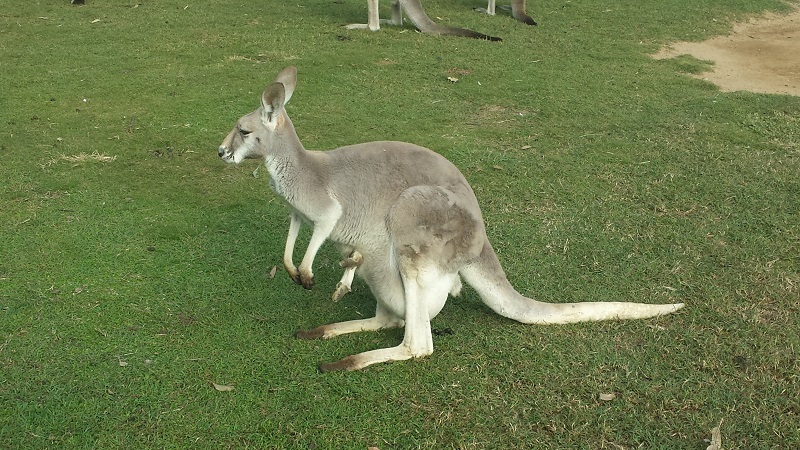 The kangaroo leaned forward and started eating my food. We then walked around a bit more and found a particularly odd looking kangaroo. It had what looked like two extra legs coming out from the pouch. After we had laughed at this for a while I saw another female kangaroo with a joey. This time the head of the joey was sticking out, so I took the last bit of food and went over to the mother. This one hesitated a bit before coming over, but seeing the little joey up close was worth the wait. All in all, this was one of my favourite days of the whole trip!